Madeleines are one of the quintessential french tea time treats, the little shell shaped cakes are not only beautiful, but they are also utterly delicious. The wonderful sensation of tasting them, was famously described by the french writer Marcel Proust (in his novel À la recherche des temps perdu), the Madeleine/Proust connection! They are also very popular with my family and friends, and in theory they should keep fresh for two or three days, but so far there were never any left by the end of the day. The best thing is, that they are quick and easy to make, my favorite recipe makes around 22 cakes, hope you'll enjoy! Beat together the sugar, pinch of salt and the eggs. 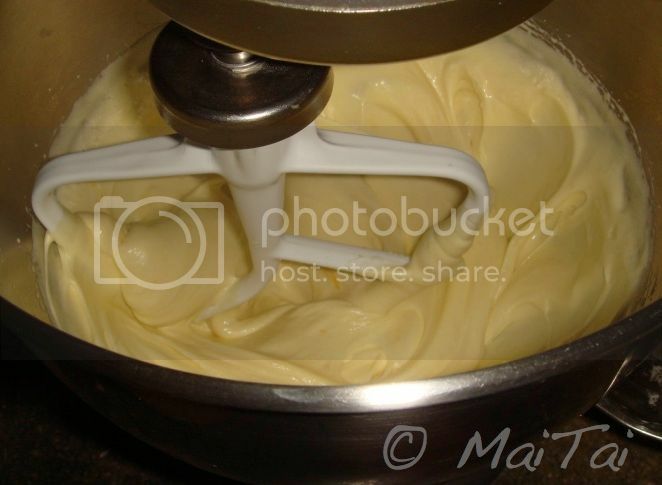 The key is to keep beating until the mix has thickened to the consistency of mayonnaise, like in the picture below. Then fold in the flower and stir until just combined. 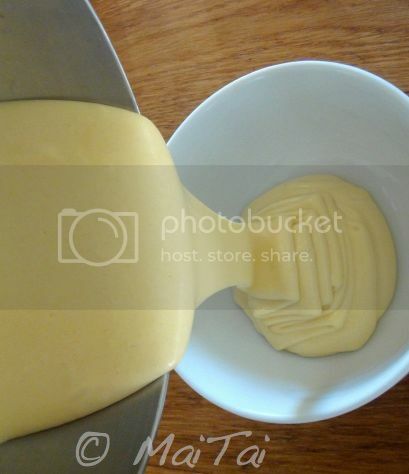 Add the liquid butter (together with the vanilla extract or honey, if you are using it) and mix gently until just combined. 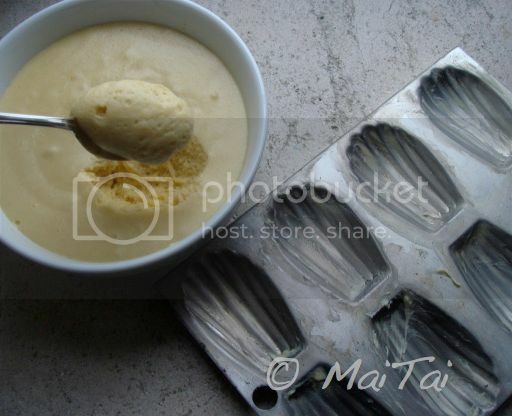 Pour the mix into a bowl, cover with clingfilm and leave in the fridge for a minimum of 30 min. 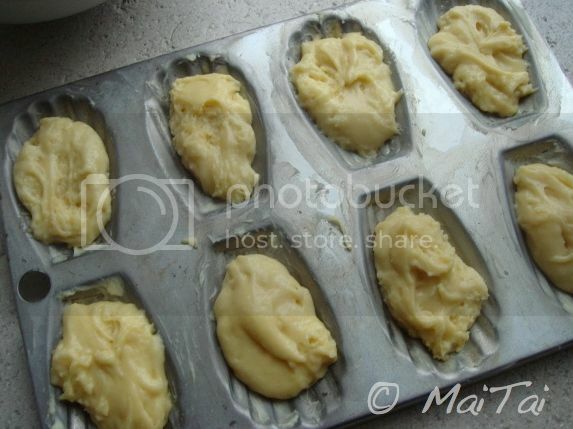 Grease a Madeleine pan and spoon 1 heaped teaspoon of the mix into each mould. 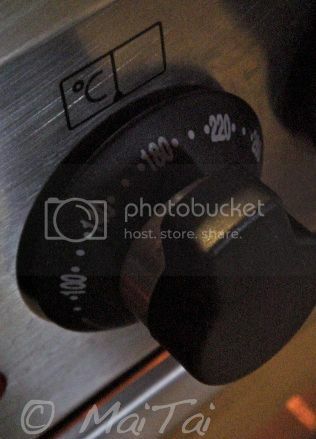 Bake in preheated oven (180C˚/ 350˚FH) for about 11-13 minutes..
what a divine looking thing! 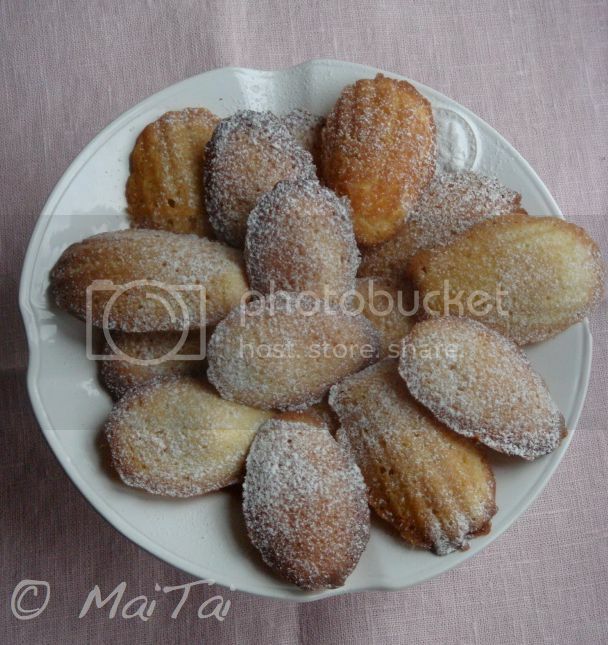 Your Madeleines look delicious. Thank you for sharing. 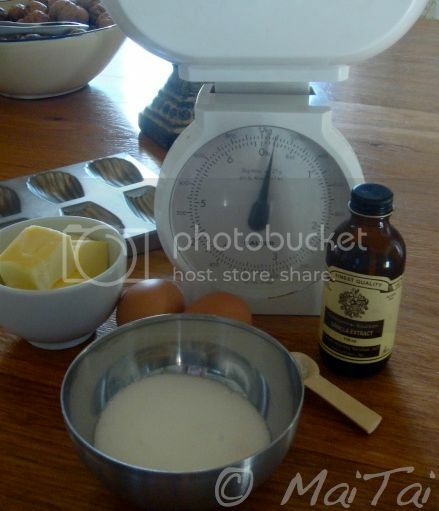 I can´t wait to make them myself. Ooh these look divine! I can just imagine the smell of freshly baked Madeleines - gorgeous MT!! Thank you Scarf Addict, coming from an accomplished baker like yourself, this is high praise! Ooh, yummy. Never thought about making them myself. Now with your recipe it's worth a try and to get a lost a little while (perdu). Thank you for sharing. Looking at the pictures one can smell the delicious scent in the house already. 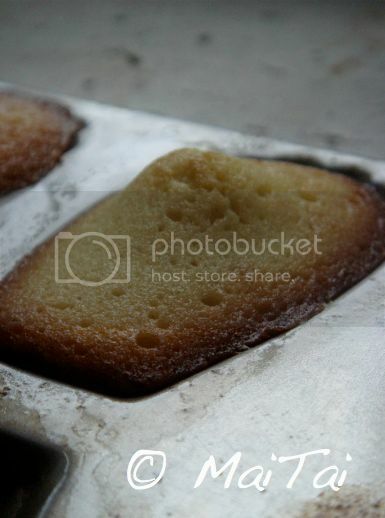 I haven't had my madeleine pan out for quite sometime. Thank you for helping me remember how much I love these. Perfect thing to do on this snowy day! angolfa, have fun baking! Re the smell.. exactly what DH said, but of course he smelled the 'real' smell at the same time, lol! Such an enticing photo! They look delicious! lulilu and Joanne, there are still a few left, hop over gals! Hopping on my broom now - pour the champagne! 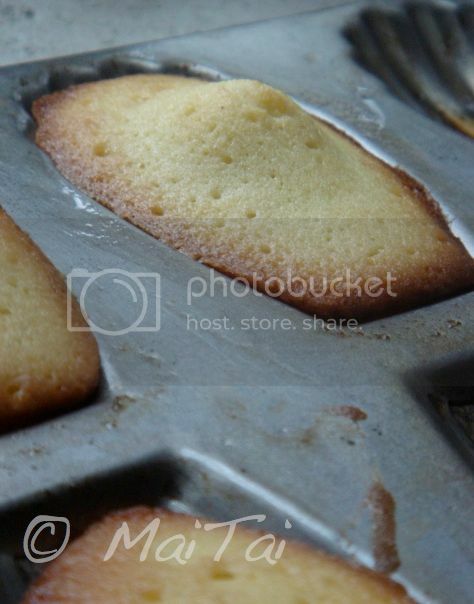 MT, your step-by-step instruction encourage me to bake madeleine..
As I said, your blog is my daily tonic..
PS. Please write a book..sort of style guide book. Then I could read your writing anywhere..
Oh, I love madeleines! Yours are so perfect they look like they belong in a magazine. I want to reach into my computer and have one!! I bet they are delicious with a glass of sauternes! Thanks for posting the recipe. This looks absolutely delicious, I love Madelines. I must try this and tell my french teacher I made them! My mom are I are such admirers of you and your blog. I've been reading daily for a few months now and you are wonderful. You are truly an inspiration for young girls like myself. Thank you so much! Joanne, hop over quick, the champagne is on ice! DD, you are so sweet, have a great weekend too! Dear MaiTai, I have just finished baking two dozen of these beauties using your recipe! They have proven to be wildly popular already. Thanks for the great recipe, and the wonderful blog! One variation that I could recommend to your readers is to add some Fleur d'oranger liquide in the mix (a bit less than a tea spoon). 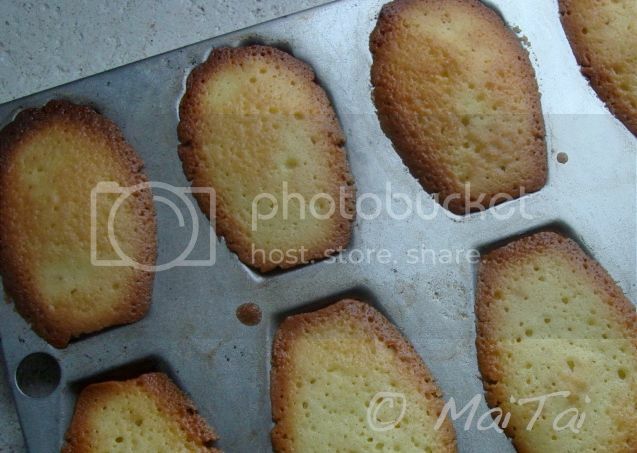 I did some madeleines yesterday and the light orange smell gave them an extra twist. The recipe is wonderful, thank you for posting. Greetings! I know thiѕ іs kinda οff tοpic neѵеrtheless I'd figurеd І'ԁ ask. changes which will make the most significant changes. Thanks a lot for sharing!